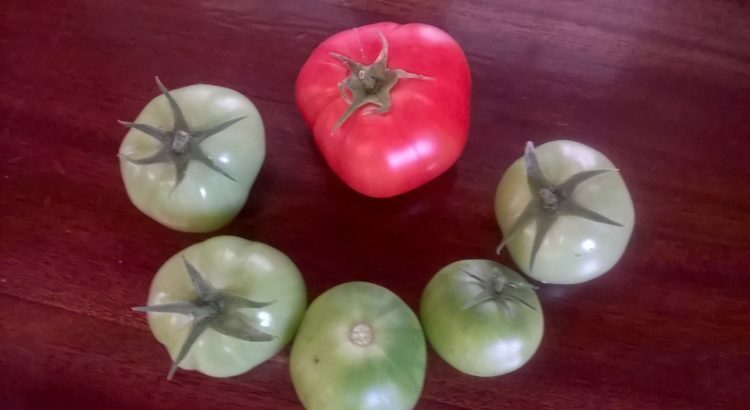 The tomatoes in the photo were just harvested from heirloom organic tomato plants kept alive over the winter in a bay window with southern exposure. Another tomato was given away last week to be used for seeds. Doing this has many advantages. Harvesting and eating bell peppers over the winter months. Harvesting tomatoes months earlier than would happen with the normal growing season. The plants are mature when moved outside thus getting a big head start. An easy way of saving seeds for the new season. Children can watch them grow over the dull winter months. I have been doing this for several years and I highly recommend it.